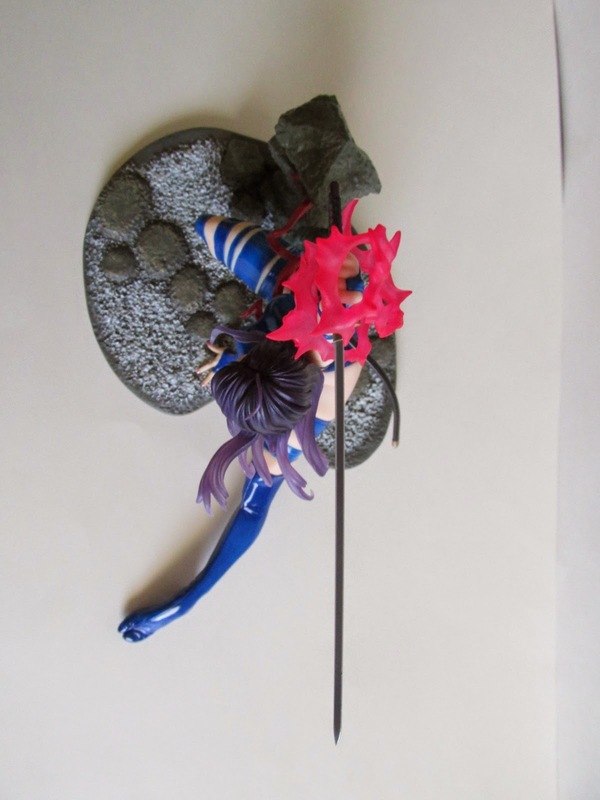 The Bishoujo line from Kotobukiya has gotten better after every release and this special edition Psylocke is no exception. 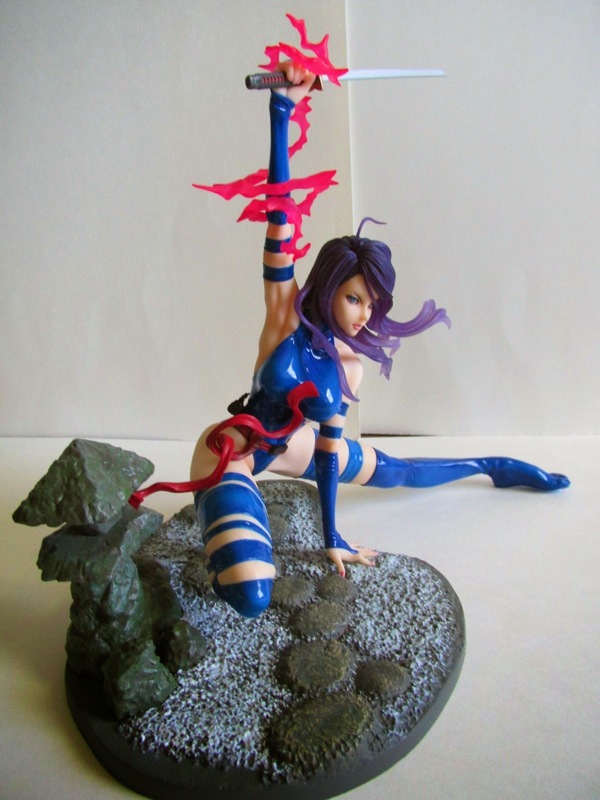 This was one of Kotobukiya’s San Diego Comic Con exclusives for 2014 and features Psylocke in her classic colors as opposed to the black X-Force color scheme. As usual Kotobukiya has done an amazing job and really make repaints of their figures worth getting. 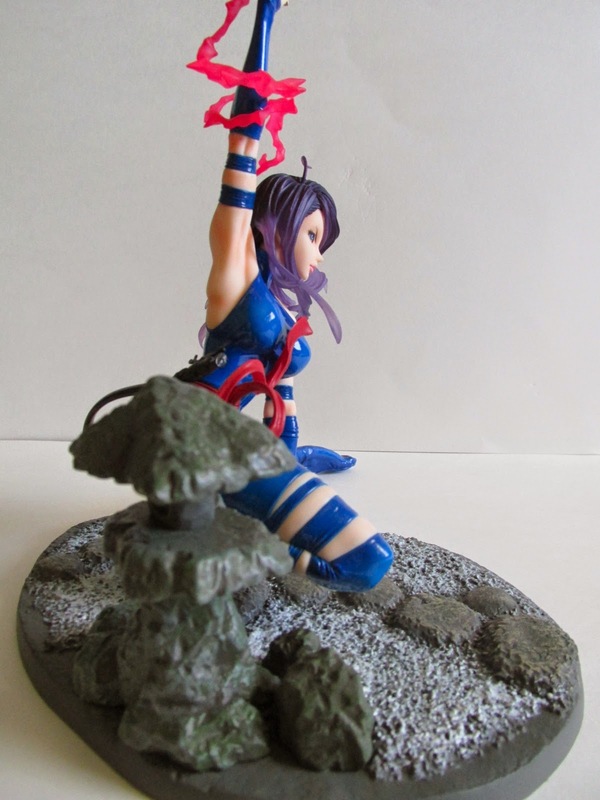 With the addition of her classic blue colors, Psylocke becomes the center of any piece. An additional accessory not found in the original release is her pink psionic wave that can be put over her hand. The pink psionic wave is a small touch, but it goes a long way to make this figure stand out even more. Another great touch is the rock garden base she comes attached with. This is another great accent to the figure and the fine details as usual are seen throughout. The only bad thing about this figure isn’t the figure itself…the way this was packed caused her sheath for her sword to bend. It’s a bummer, but something to be aware of when opening her up. One of the nice touches I also like is the different finish used for the skin and her clothes. The skin looks like flesh while her clothes give that super hero shine that we expect of our scantily clad heroines to be wearing. If you want this figure now, well good luck because she is long sold out and most likely triple the price on ebay. You can still get her original black version but this version is by far more superior to that. I guess now is a good time to pre order Jubilee…or will she get a special exclusive release later?